Providing facility maintenance that doesn't interfere with production as well as helping Honda reach Silver Certification with LEED and the U.S. Green Building Council. A preventive maintenance program that services all of the building equipment by using a building management system, Andover Controls as a "single point" solution. 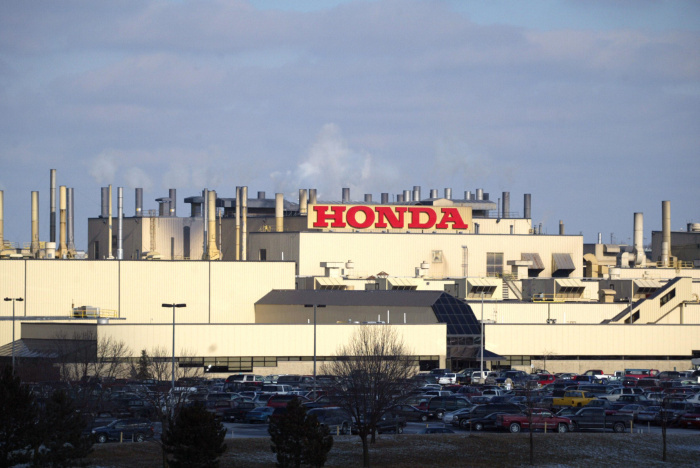 With more than 100,000 working employees in the United States, Honda Manufacturing operated a $550 Million dollar facility in Indiana in Greensburg and ...... The Greensburg facility is a fairly new production plan that employs over 1000 employees and is designed as a zero waste-to-landfill facility. A turnkey solution using Andover Controls, a facility management system was designed for each facility giving Honda and CSUSA the capability to operate, monitor and optimize the HVAC systems operation and waste water treatment system from one (1) single point. In Anna, Ohio, Honda added 18,000 square feet of engineering office space that they wanted to qualify for "Silver Certification" from the U.S. Green Building Council. The most pressing issue that Honda faced was the application of an air-to-air energy recovery ventilation (ERV). By focusing on air management, the new system created a better environment and lowered energy costs. The new integrated sequence of operation used CO2 demand ventilation controls strategies for all conference rooms in the building that reduced overall building pressures.